Well here we are already! The schools track and field qualifiers are underway in Morton Stadium. Bright and early this morning Efrem Gidey and Ben Guiden took to the track for the senior 4000, yes 4000! 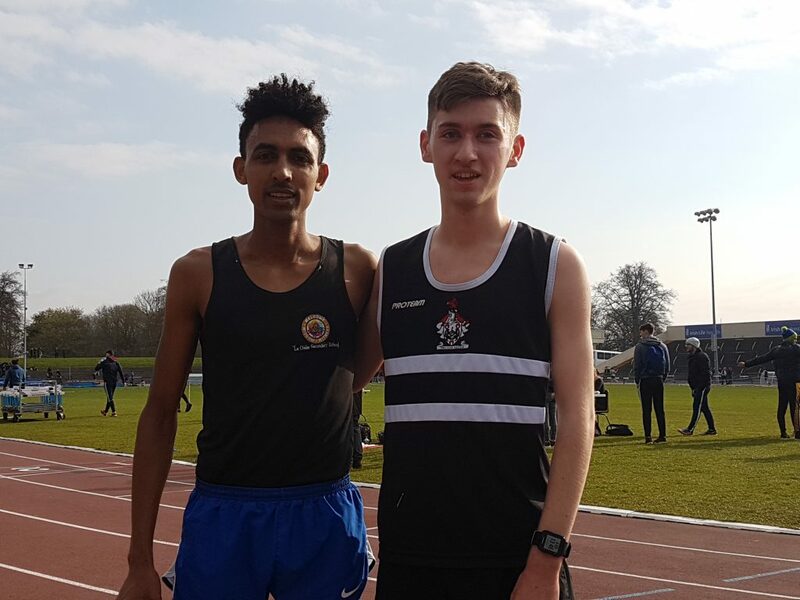 With Efrem clicking out 72/73s and Ben at 75s both comfortably qualified in 1st and 2nd for the Leinster 5000. Both also ran PBs: 11.58 and 12.36….for 4000! Also on Tuesday Daniel Stone won the West senior 3000 sc and was 2nd in the 1500.